Local newspaper publishing dynasty Iliffe is taking on its former business partners Trinity Mirror with the launch of a new paid-for weekly newspaper in Cambridge. The Iliffe family formerly owned the daily Cambridge News as part of a substantial portfolio of regional daily and weekly newspapers. 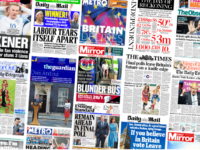 Its titles became part of Local World when that company was formed as a joint venture between Iliffe News and Media, Daily Mail and General Trust and Trinity Mirror in 2012. 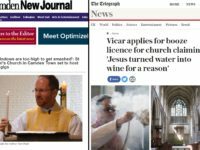 When Trinity Mirror agreed a £240m deal to take-over the Local World group in November 2014 it said it would sell back the Cambridge News as well as nine weekly newspapers in Cambridge to Edward Iliffe. But Trinity Mirror then backed out of the deal, and instead paid Iliffe £2m to activate a break clause. He has now launched Iliffe Media with eight journalists working on the new Cambridge Independent, including editor Paul Brackley – who formerly edited the Cambridge News, but left in the wake of its take-over by Trinity Mirror. The new title launches tomorrow (Wednesday) with a cover price of £1 and a print-run of 20,000. It will run to 112 pages. According to a press release, the new title aims to be “intelligent, distinctive and relevant”. As well as the print edition, there will be a website (with a focus on breaking news) and a paid-for app. Published on Wednesdays, the new title will be offered to subscribers for 70p and include a number of perks (such as membership of the Gourmet Society, worth £69.95). It will also include a substantial homes section. The Iliffe family has owned and published printed newspapers since the mid 1800s and has published titles in Cambridge since 1922. 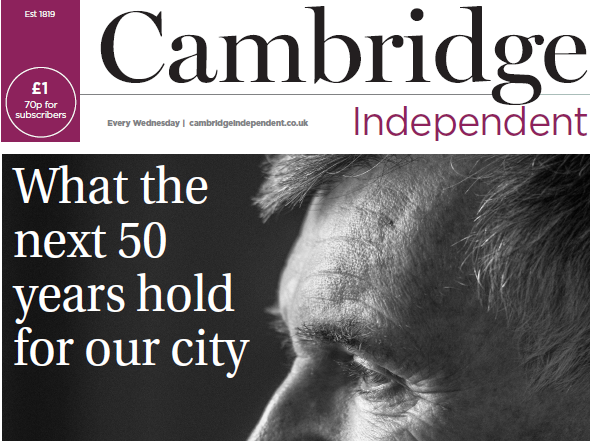 The Cambridge Independent will be produced by Iliffe Print (a part of the business which was retained by the family after the Trinity Mirror buyout). The title is understood to have had a positive reception from local advertisers. It is the second weekly local newspaper launch this month. Last week a new independent free weekly was launched for the City of London. Good luck everyone. I wish you well. The front page looks great!